“I was sitting in my chair,” the elderly woman told me, “when all of a sudden the water rushed in and covered my feet.” Within minutes her little home was filled with more than a foot of silty brown water from the nearby flood-swollen Blanco River. “But,” she continued, “all we lost was furniture and stuff. Thank God my husband and I are ok.” We continued our conversation as she looked through an album of pictures that had gotten soaked. She managed to dry and salvage most of them. Looking at the photos made her happy. 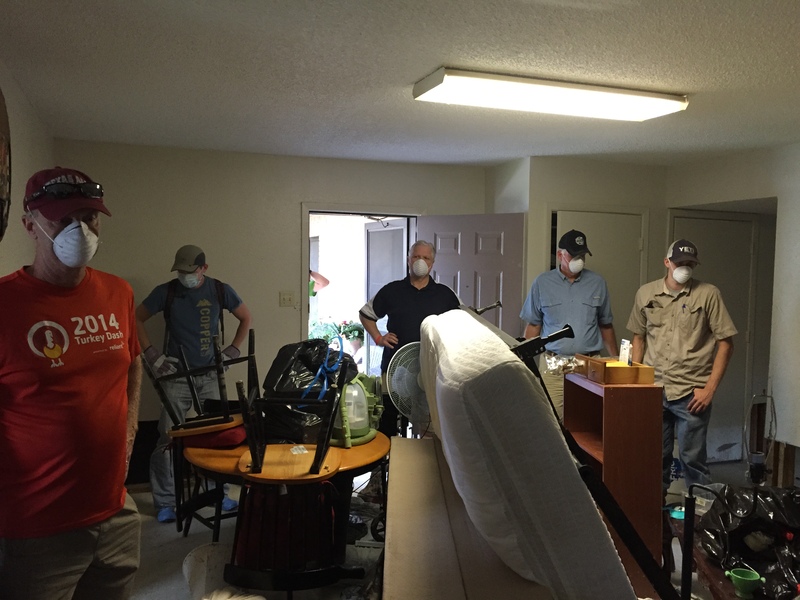 Our Disaster Response Team was assigned to work in a low-inclose subsidized housing area yesterday. When we walked into the first little home there was a jumble of stuff that could not be salvaged — furniture, clothing, toys, and just the general everyday stuff of households. 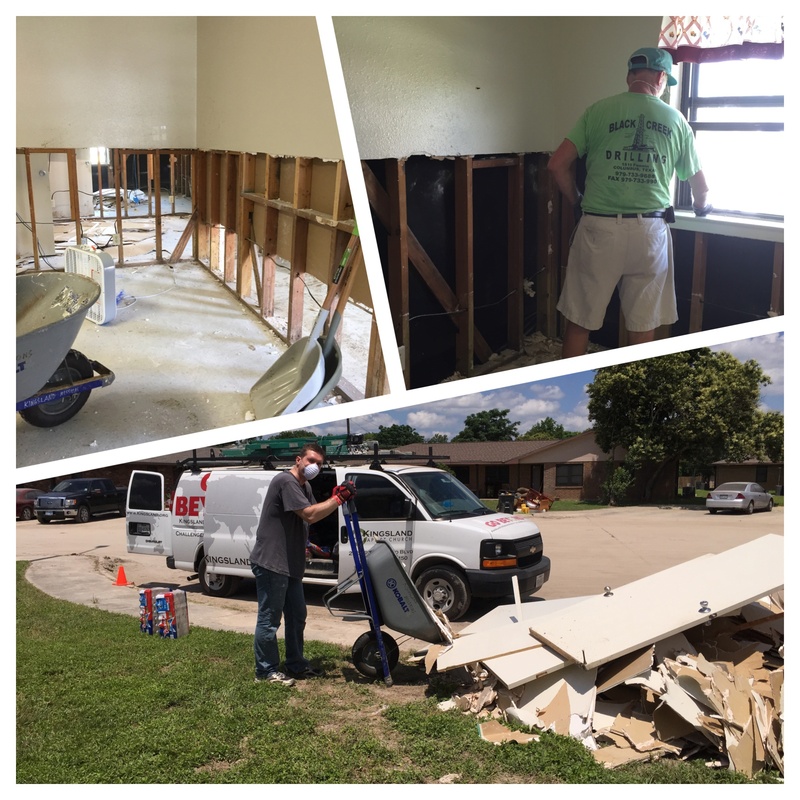 Before we could start removing water-damaged sheetrock, we had to empty the place. Doing something like this is sad. The folks who could least afford to lose the things in their homes lost the most. All of their hard-earned stuff ended up in a pile outside the house ready to be carted off to the dump. As we worked all day removing sheetrock and appliances and, essentially, gutting out two homes, I thought about the next folks who would live in these places. Life will go on after the floods. People will relocate and readjust and find their new normal. Doing so will be more difficult for some, especially those who are older. But, life will go on. As the elderly woman reminded me, people are more important than things, and when you can walk away from a disaster with the people you love then you have much to be thankful for. 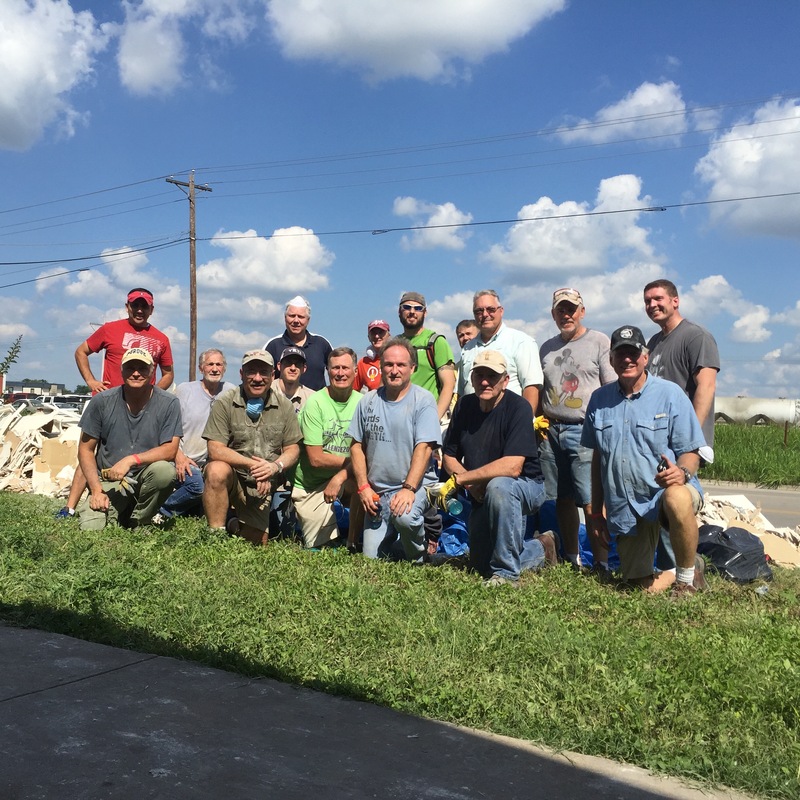 This morning, we will return to the area in which we worked yesterday and continue our work of clearing out homes and removing damaged sheetrock. These are just the first steps toward helping to get things back to normal here. In a few months, these homes will one again be occupied by low-income families. They will start a new chapter of their lives here with their families and their own stuff. The elderly woman told me that this is the third time she has been through something like this in her lifetime. She is a reminder that we can make it through difficulties and that God is good. 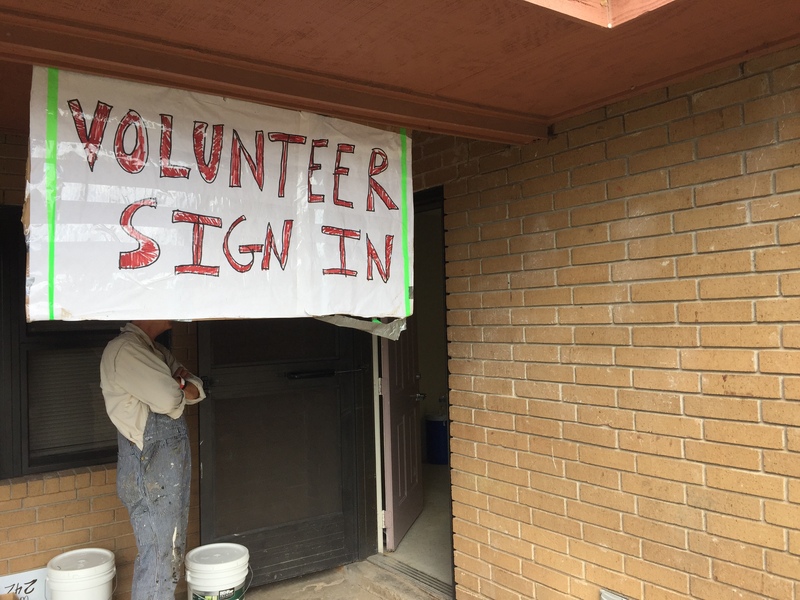 Please remember the people whose lives have been impacted by the floods and also for all of the volunteers who are here to help. There is still lots of work to do. We are happy to be here to help.